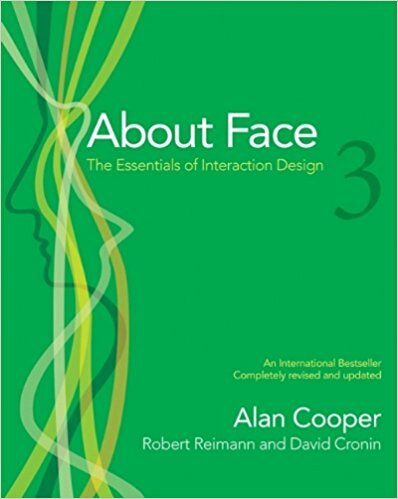 About Face is an essential book in any serious User Experience professional’s library. This should come as no surprise considering the reputation of the authors. Alan Cooper is widely regarded as the "Father of Visual Basic" and has been a pioneer in the software development industry for over three decades. He is also well known for developing the concept of Personas, which is one of the fundamental building blocks of Interaction Design. Interaction Design can best be described as a tool for "Knowing what the user wants." This definition might seem simplistic, however after going through the processes involved, it becomes apparent that it is anything but simple. The following is a summary and review of part one. There is a conflict of interest when Software Developers design software or digital products since they often choose ease of coding over better user experience. As a result digital products often require people to think like computers. These products often respond with messages that make sense to Software Developers while most users find them hard to understand. Why is so hard to design the interactive aspect of digital products? One of the primary reasons is ignorance about end users. Interaction Design involves more than aesthetics, it is based on understanding users as well as cognitive principles. The Goal-Directed Design Process provides the structure to determine the most important users, their goals and motivation. Goals are different from tasks. A goal is an expectation of an end result, whereas tasks are the intermediate steps. How will my product introduce itself to first time users? In Software development, the implementation model refers to how a program is implemented in code e.g. through algorithms. Whereas the User Mental Model is determined by how the user understands the features of the software, through the type of interaction made possible by UI elements like buttons, navigation menus etc. Software and other digital products also have a Represented Model through the behavioral face that users can see. This gives designers great power and flexibility. Donald Norman refers to this as the Designer’s Model. Software developers are often constrained in the way they build applications, designers, on the other hand, have a lot more freedom to create an interface that closely matches the user’s Mental model. A good example is Adobe Photoshop’s Variation feature which displays several thumbnail images representing various numeric color values. There is a rapid transformation from the industrial mechanical age to a digital information age. Several mechanical devices are being replaced by digital tools. For example the typewriter has been replaced by word processors. Very often mechanical characteristics are literally transferred to digital media. In some cases this is helpful whereas sometimes it only limits the progress of digital tools. For example a digital contact list should not be limited to sorting alphabetically by last name as the mechanical Rolodex. On the other hand being able to set tabs on a word processor is an essential outgrowth from a similar process on typewriters. One of the biggest dilemmas of interaction and interface design is how to create software that experts and beginners can both use productively. Since the experience level of users generally follows the bell curve, most users are “perpetual intermediates”. A well balanced user interface will cater mostly for intermediate users. This makes good sense because most people don’t remain beginners for long and very few people can spend the time required to become experts. It is important to be able to get beginners on board with your as quickly and efficiently as possible. This can be achieved using a separate guide facility displayed within a dialog box. Experts on the other hand will need short cuts to their regular set of working tools. Perpetual intermediates on the other hand need easy access to reference materials, so a comprehensive index of topics is essential. In order to design a successful product the designers (UX/UI) must thoroughly understand the needs both the end users and the organization that commissioned the product. The type of insights required for this can only come through Qualitative Research techniques. Qualitative and Quantitative research play very different roles. Quantitative research usually results in collecting data based on scientific methods or even market research. However when designing for real human beings the data does not capture important nuances which could make a huge difference in product design. Qualitative Research helps you understand the context and constraints of a product. It also helps to highlight patterns of behavior among end users. Personas are interaction design models used to represent complex user behaviors with a simpler abstraction. They are not real people but composite archetypes based data gathered from ethnographic interviews of various real users. Very often you find Software that has been designed to please too many people, which leads to low user satisfaction. By using personas you are able to design products for specific types of users with specific needs. It is very important to first choose the right type of individuals to target. This is achieved by selecting and emphasizing significant behavior patterns, mental models and goals while de-emphasizing the less significant. Expand description of attributes and behaviors: bring your personas to life by creating a third person narrative of attitudes, needs, concerns etc. Designate persona types: assign the personas to categories such as primary, secondary, supplemental, customer etc. Defining Requirements is focused on the what of the design. This must be clearly agreed upon before thinking about how the product will look, behave or operate. This type of requirements does not include the features of the product but rather the business needs that the product must satisfy. The Design Framework is made up of the interaction framework and the visual design framework and sometimes the industrial design framework. Define form factor, posture and input methods: determine how the product will be viewed, i.e. on a phone, or a large high resolution computer screen etc. The basic process of design refinement is similar to that of designing the framework, but with more details. It is important to maintain a visual style guide throughout this phase. Once the design is well developed enough for users to interact meaningfully with, it should go through usability testing. This will help to identify major problems with things like button labels or activity order. In other words usability testing helps to assess the effectiveness of the design concept. Note that testing cannot replace good solid ethnographic research.